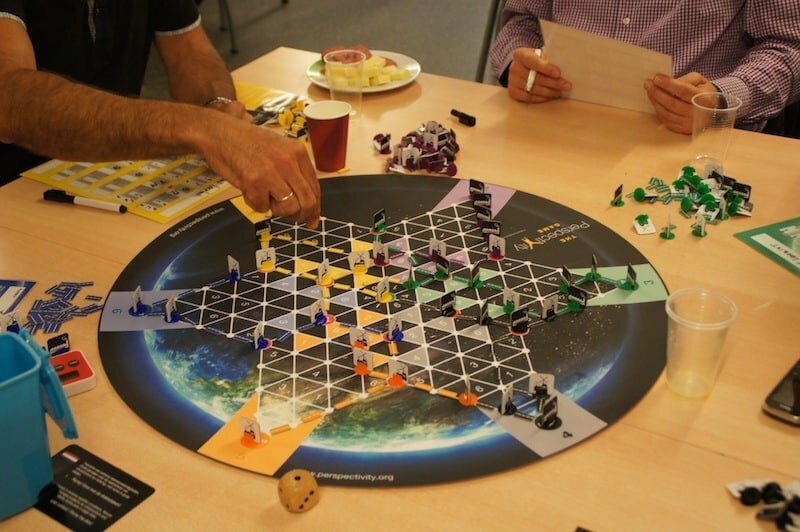 On Friday 21st of February Perspectivity was asked to facilitate a game session at a Foundation that has strong Rotterdam roots and focuses on supporting initiatives of local communities in the city. Every Friday morning the staff meets for creative sessions. The Perspectivity game (1 table) was played with much enthusiasm and energy. During the debrief insights were shared and a group conversation was held. Again, the game proved to be a great tool for starting relevant discussions.